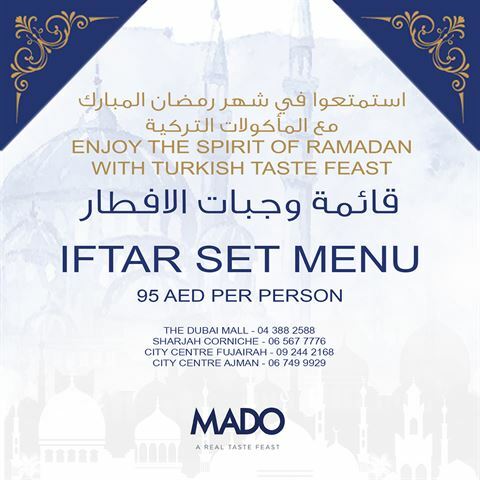 Mado Turkish Restaurant in UAE is serving an Iftar Set Menu during Ramadan 2018. 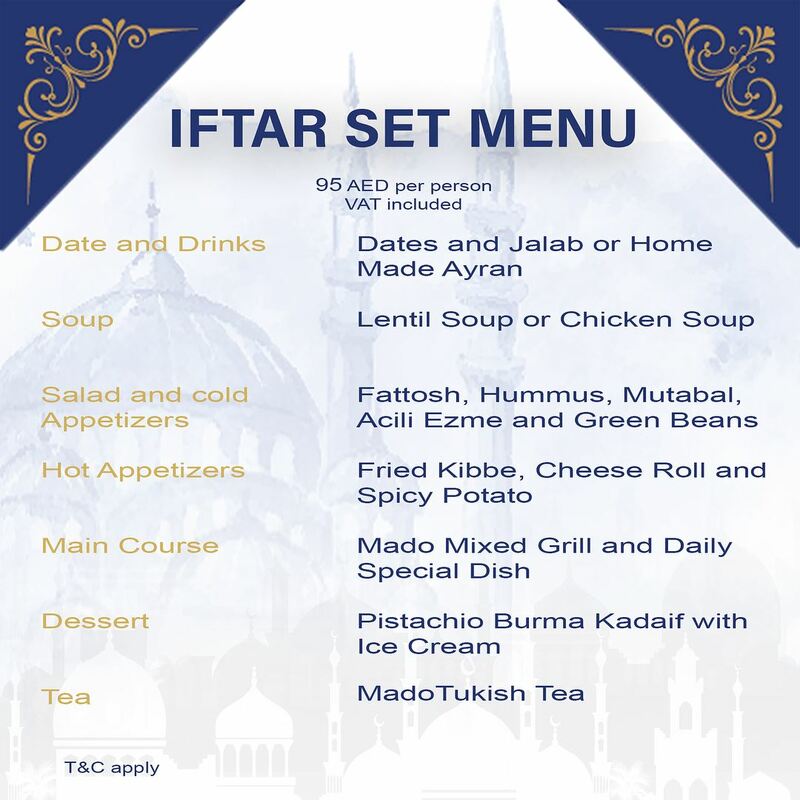 The Set Menu includes dates, soup, salad, hot and cold appetizers, main courses, desserts and tea. The Prices is 95 AED per person.